One of the most important things that employees should have is the right to work in a safe environment. Depending on the nature of that workplace, some are going to be potentially more hazardous than others, and it is the responsibility of employers to do what they can to mitigate any potential dangers. One issue that employers have increasingly encountered is the problem of drugs in the workplace. Whether they are drugs prohibited by law, such as cocaine, or legal drugs such as alcohol, employers need to have procedures in place in case it is necessary to carry out drugs testing on workers. Some employment sectors have mandatory drug testing before an offer of employment is made, but for those who don’t it should form a part of the company’s set of policies and be written into employment contracts so that everyone is clear abut procedures. Rules and regulations regarding drug testing should be clearly set out, including the consequences of refusing to take a drugs test or what may happen if a test is failed. Companies should also make the point that the reason for having such a policy is to ensure that workers are as safe as possible in their working environment. Colleagues who come to work with significant amounts of drugs or alcohol in their systems have the potential to cause accidents, more so than those who are drug free, either through carelessness or negligence. They may also harm themselves. Employees have the right to refuse to take a drug test: it is not a legal requirement to take one. However, if their employment contract states that random drug testing will be carried out, and it is the written policy of an employer, then refusing a test is likely to have the same effect as failing one. The employer would be justified in being suspicious and may simply fire the employee, seeing the refusal as an admission of guilt. It may also make it more difficult for that employee to find another job. For some employers failing a drug test will be a dismissible offence, but if they decide not to fire the employee they may change their daily tasks and deny them any promotion. Other employers may be wary about taking someone on who is known to have failed a test. Other ways that employers might choose to deal with the situation is by offering an assistance program in house or to ask the employee to get their own help, for example on a drug treatment program. Hiring and firing costs time and money, so most employers would prefer to help a worker overcome an addiction. Drug test kits are available for all types of drugs, including alcohol. 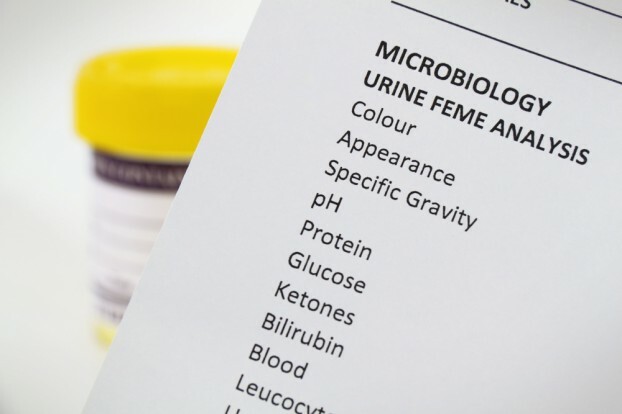 The most common test is carried out on a urine sample as it not as invasive as taking a blood sample. An employee urinates into a vial and this is either sent to a laboratory for testing or for alcohol it may be tested on the premises. A test strip is used that analyzes the sample identifying any prohibited substance.